Positano is one of the most beautiful and spectacular seaside towns on Italy's famed Amalfi Coast. 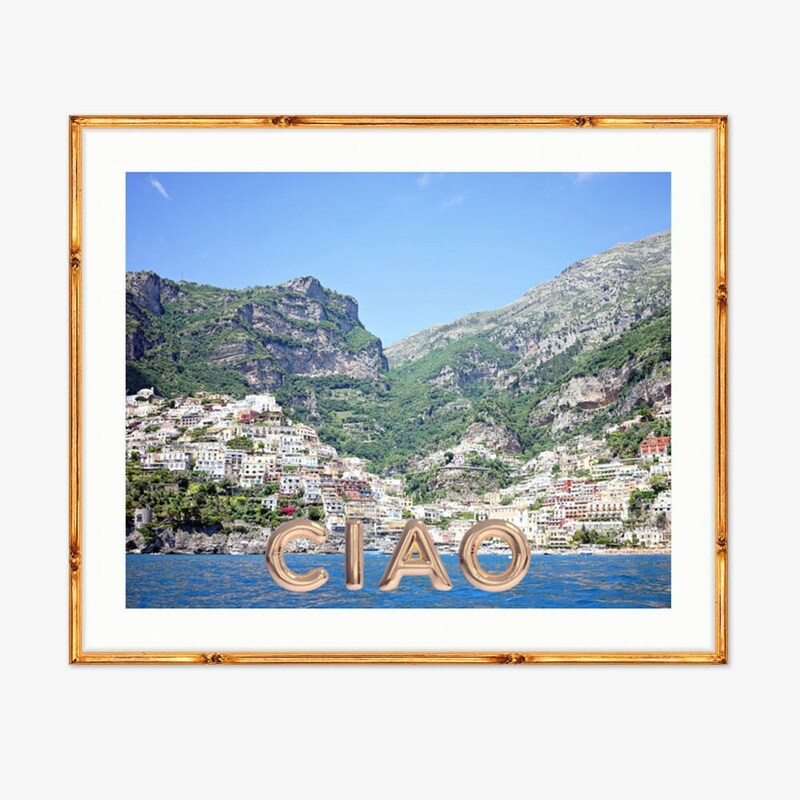 A bit of whimsy is added to this seaside jewel with gold foil balloons that spell ciao! This original photo is printed on archival quality, acid free, and heavy weight matte photo paper.